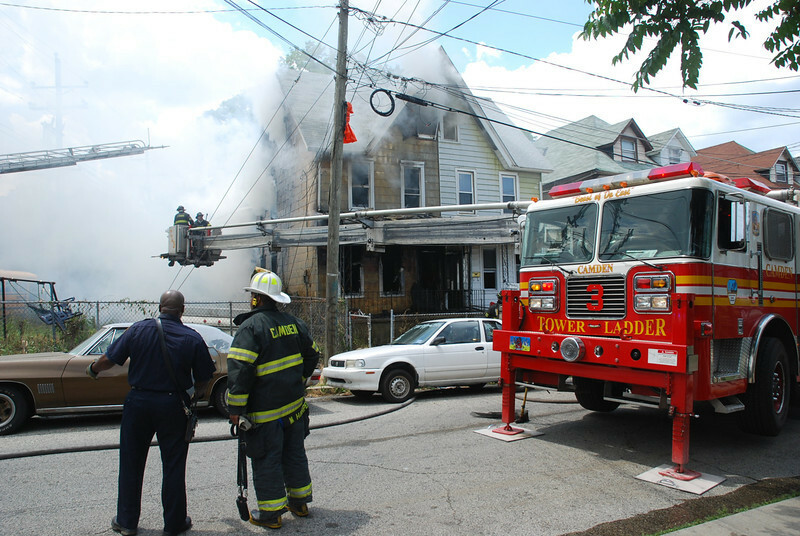 On Tuesday June 14th 2011, a dwelling fire was dispatched at 107 N. 34th St in the East side of Camden City at 1:49 p.m.
Engine 9, Engine 11, Ladder 1, Ladder 2, Ladder 3, and Battalion 1 were dispatched on the box. Engine 9 arrived on location and reported a 2 ½ story wood frame dwelling with heavy fire conditions showing. A 2nd Alarm was transmitted. Companies set up for defensive operations. Water supplies were secured as Ladder 3 and Ladder 1 went in operation with the Ladder Pipes. The bulk of the fire was knocked down as crews went in to open up. Companies protected the exposure which was occupied. The fire was placed under control. The Camden City Fire Marshals have the fire under investigation.